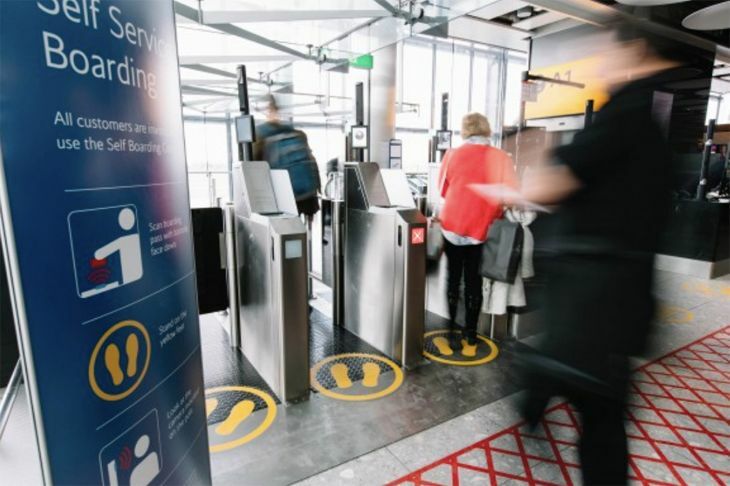 Three of Europe’s largest airports – London Heathrow, Amsterdam Schiphol and Paris CDG —have started testing or using facial recognition technology as a way of speeding up passenger processing and boarding. British Airways said this week that it has opened three self-service boarding gates at Heathrow’s Terminal 5, relying on digital facial scans as part of the process. The three domestic gates allow passengers to scan their own boarding passes at the gate and just walk onto the aircraft without the intervention of human gate agents. BA said the process involves taking a digital facial scan of the passenger when he or she travels through the security checkpoint; when the traveler arrives at the departure gate, another digital image of their face taken there is checked against the earlier one. If the two match, the passenger is allowed through the gate and onto the aircraft. 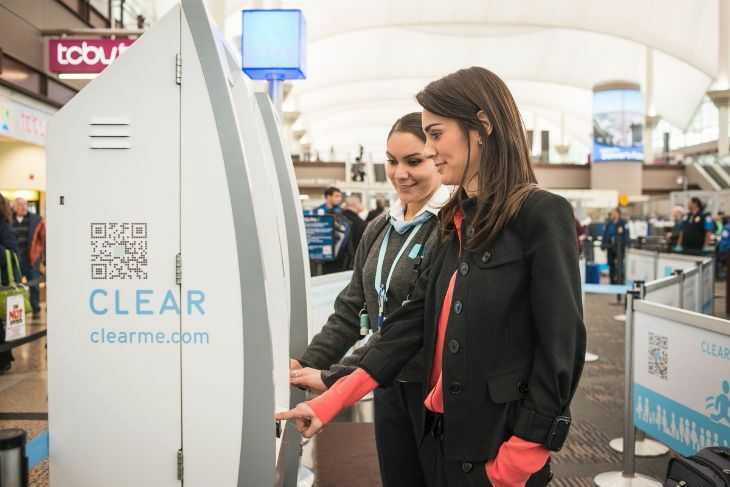 At Amsterdam Schiphol, the airport and KLM are conducting a three-month test of similar technology at one departure gate. Passengers who have registered in advance go to a special kiosk near the gate where they scan their boarding passes, passports and faces as part of the boarding process. Participants then board the aircraft through a special door that uses digital technology to recognize their faces. “Schiphol and KLM want to study the technology of facial recognition – the system’s speed, reliability, and user-friendliness,” the airline said. “They will also examine the boarding process and the passenger experience. The ultimate aim is to make the boarding process as quick and easy as possible for our passengers.” The airline said that all data and images collected from passengers will be quickly erased. At Paris Charles de Gaulle Airport, the airports authority has started testing facial recognition software as a way to speed up passenger processing after terrorist attacks in the past two years prompted the French government to tighten security requirements for travelers. The tougher requirements led to big increases in waiting time at border control, with many travelers waiting an extra hour to get through. The CDG test involves the use of new software from a vendor called Vision-Box, and is used for clearing immigration rather than for aircraft boarding. 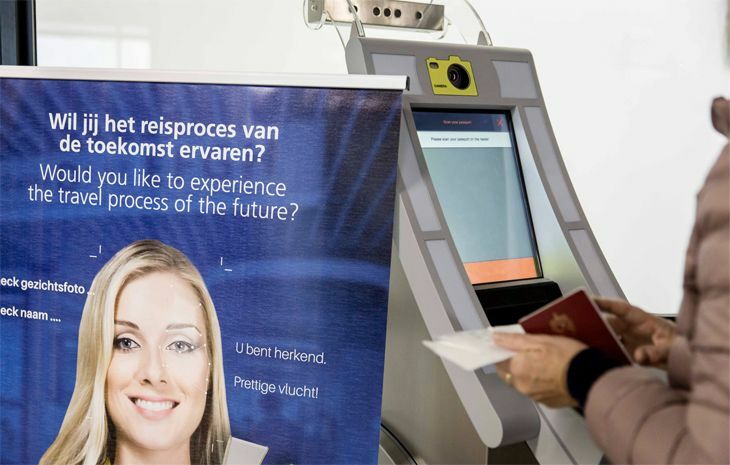 The software compares passengers’ passport photos with their faces, and it can be used for travelers from the 28 European Union member nations. If the tests work well and the government gives a nod to the technology, it could be used to speed up clearance for up to 20 percent of the airport’s passengers. In the U.S., the Department of Homeland Security a few months ago issued a solicitation for vendors who can provide mounted facial recognition cameras to be used in airports. However, the purpose of that project is not to speed up boarding or passenger processing, but rather to help Customs and Border Protection catch persons who are not in the U.S. legally. Currently, the biggest user of biometric technology in U.S. airports is probably Clear, which relies on iris and fingerprint scans rather than facial recognition to speed its members into the security checkpoints. Readers: Would you trust facial recognition technology if it is used to speed up the boarding process? How about if it is collected by government authorities for immigration and security purposes?